I want to set this straight from the beginning of this article - Sony KDL-32EX650 is an amazing LED TV and one of the best in the 32-inch segment. When I made a research more than a year ago and searched for a nice, capable LED TV I came upon plenty of good offers from different brands like Samsung, LG and Panasonic. Actually I almost bought a very similar in specifications Panasonic LED TV but I changed my mind once I compared it directly with the Sony KDL-32EX650. What actually happened is that I went to the local tech store and examined all the suggestion that were close to my budget of 500 Euros. Well I have to say that though the KDL-32EX650 was the most expensive offer back then it is definitely worth the extra money spent. This TV not only looks better than most of its rivals but it delivers a stunning picture quality which is hardly achieved even in the latest offers from other top manufacturers. The thing that really impresses me the most is the perfect neutral picture settings of the KDL-32EX650. This TV manages to deliver sharp and bright colors but at the same time remains pretty neutral. And let me tell you something, that is quite hard to achieve - both LG and Samsung are trying to do that using different methods but Sony is the brand that sits somewhere in the middle of these two - not too sharp (like most Samsung TVs) but not too vague at the same time (like many LG TVs). 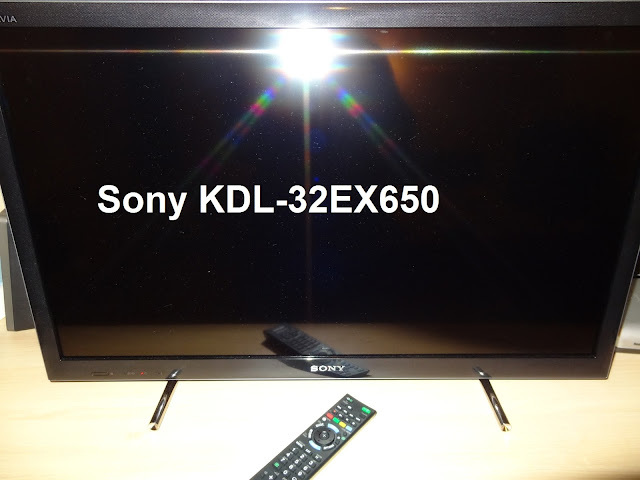 The Smart TV functionality is another thing that I particularly like in the Sony KDL-32EX650. Connecting to the Internet might be a bit complicated for some not so advanced tech users, but once this is set up everything is quite smooth and intuitive. I myself have connected the TV to the Internet through a WiFi connection (currently to the wireless router ASUS RT-N12E) and use the YouTube application all the time. I have to say that watching HD YouTube videos on the KDL-32EX650 is a real pleasure. Well, the only one that I can think of right now is probably the remote control which is not very comfortable to use and it refuses to work sometimes and also doesn't have a return option which allows you to go back to the last watched channel so that way you can switch between two different channels. Other than that it is all good. I never had any serious problems with my Sony KDL-32EX650. When I first got the TV and turned it on I thought it has some kind of backlight bleeding issue but that happened to be something quite normal for most LED TVs. As a conclusion I would say that I am very pleased with the purchase of the 32-inch Full HD Smart LED TV Sony KDL-32EX650 and though it is not for sale any more I think it is still one of the best 32-inch LED TVs. If you want to learn which are the rest you can check our list of the best 32-inch LED TVs.